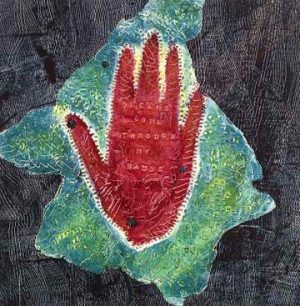 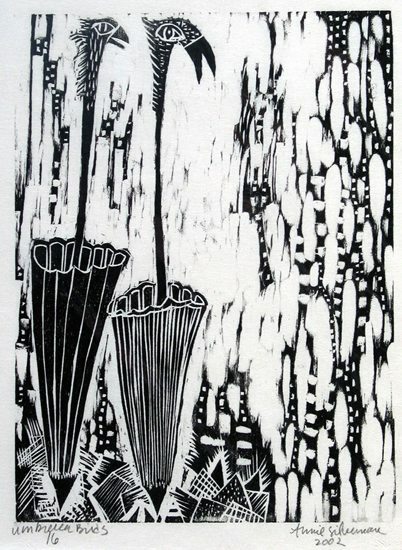 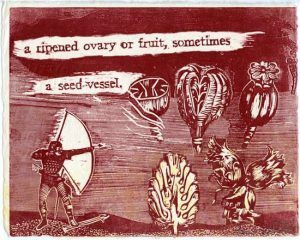 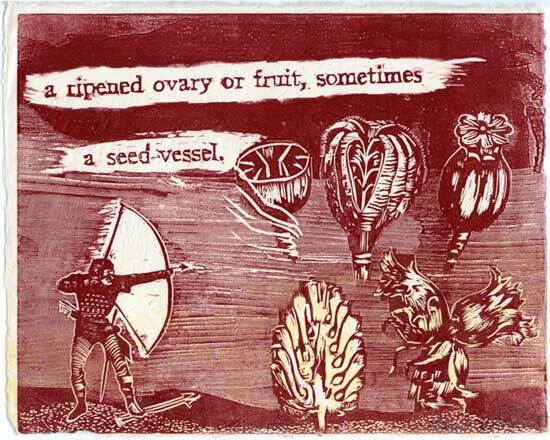 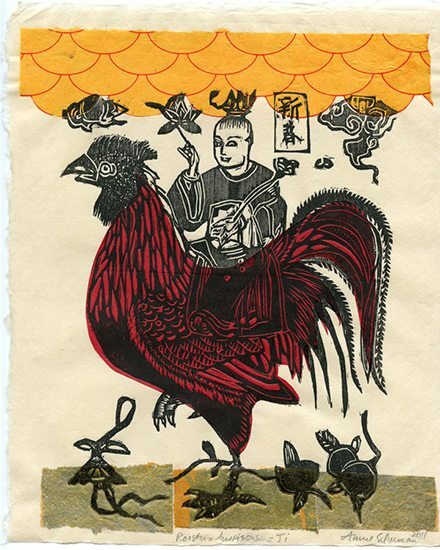 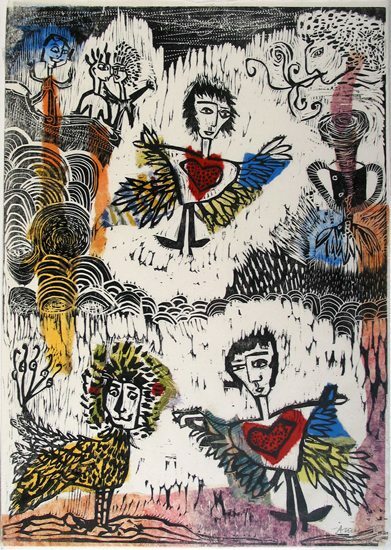 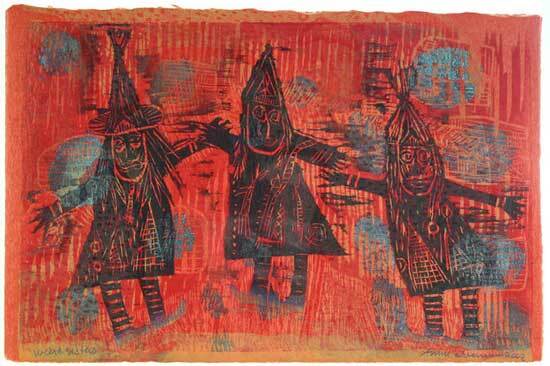 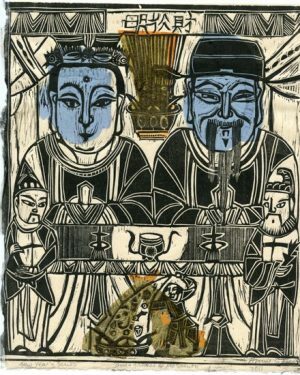 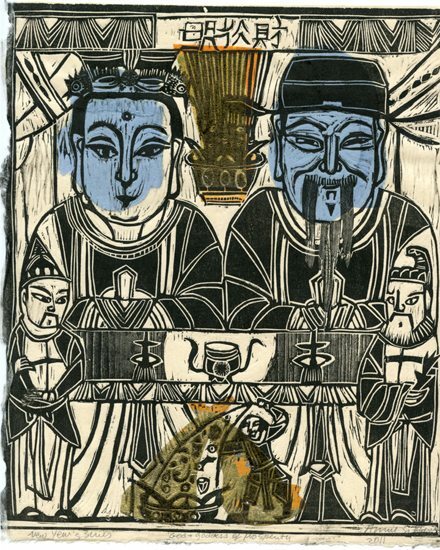 ANNIE SILVERMAN produces colorful and whimsical narrative works using a myriad of printing techniques, including the relief genre of woodcut. 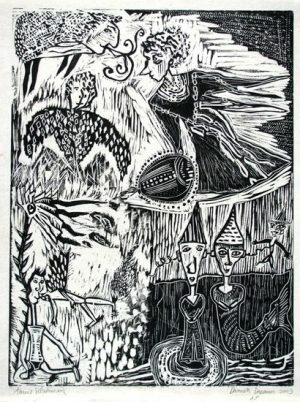 She uses all manner of inventive techniques to present characters and convey stories in the most unusual ways. 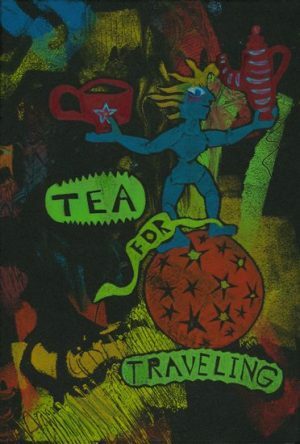 Her juxtapositions of iconography, creatures and themes: tea, punk girls, theater, and dragons mix a sense of fun and dreaminess with sometimes riotous color and other times in simple black and white.